They call me Icefingers. My hands are never, ever what you’d call warm, and on winter days they’re basically a bunch of icicles attached to my wrists. So I’m the perfect person to test smartphone gloves, both in terms of how well they work with phone screens (less well than you’d expect, as it turns out) and how effectively they insulate your frozen fingers (ditto). I end up trying heaps of pairs every winter because I’m also exceptionally skilled at losing one glove – just one, never both – so here’s this year’s trial and error-filled journey to warm, functional fingers. Made of a thin, stretchy fabric, these have gaudy gold patches on the touch-enabled finger and thumb. They’re fairly understated apart from that. Size-wise, these were supposedly a medium but were much too big for my hands, whereas other mediums fitted fine. This made it harder to touch my phone using the right bit of the finger. 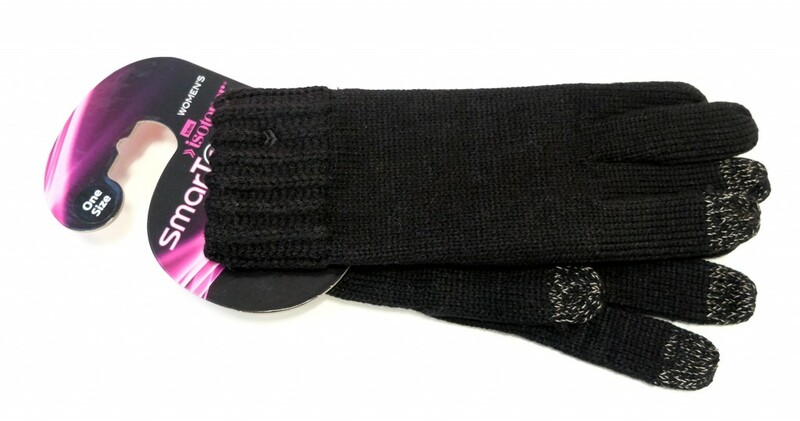 These are far too thin to be any use on properly cold days. They do OK in milder weather, but when you really need them, they fall down badly. My fingers were absolutely freezing, and I had to shove them in my pockets to stop them hurting. Granted, they’re still better than not wearing gloves at all, but not by much. Hopeless. Performance wasn’t helped by the fact that a good whack of the touch-enabled fabric was hanging off the end of my finger due to sizing issues, but even perfectly-aligned touches often didn’t work. After five attempts to unlock my phone with a pattern, it unlocked zero times. Occasionally the gloves would come to life halfway through the pattern, but that’s no use. They’re not warm and they barely work on a touchscreen. Those are the two fundamental functions of touchscreen gloves. Fail. These are really cute. They’re smart and feminine, with a bow and piping on the back. The touchscreen fabric is sewn in a small, understated patch on the underside of the index finger and thumb. They look like normal gloves, which is a good thing. The wool fabric kept my hands warmer than the M&S gloves, but it was still only about 10 minutes on really cold days before my fingers got uncomfortably freezing. 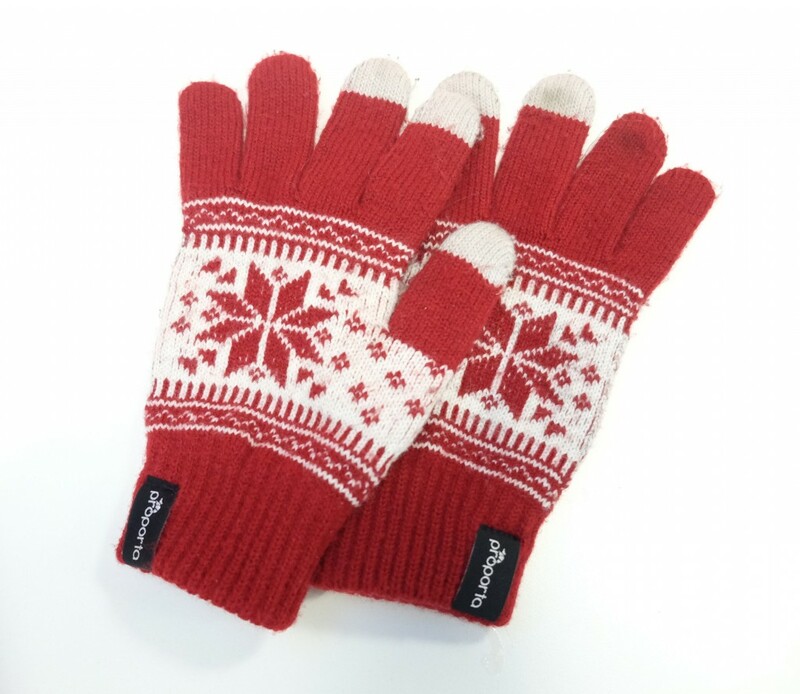 If you don’t have issues with your hands hurting when it’s cold, you might be OK with these, but they’re not good enough for my shonky circulation. 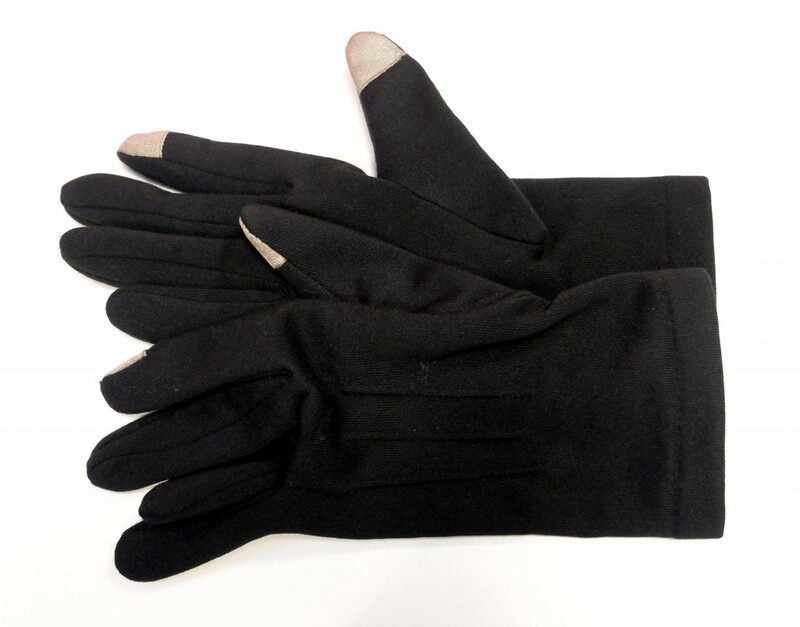 How these can even be marketed as touchscreen gloves is a mystery to me, as they genuinely don’t perform any better than non-touch ones – which is to say that they don’t work at all. The tiny patch of touch-enabled embroidery is indented, so you have to push the screen too hard to get any kind of reaction, and even then it doesn’t work 9 times out of 10. The thumb was better than the finger, but not by much. I took these gloves off a lot to use my phone, thus completely defeating the object. They look nice, they keep your hands warm-ish, but they don’t work with phones. Which is the whole point. Despite their nicer appearance and superior thermal qualities, I actually hated these more than the M&S ones due to sheer frustration with the touch portion. I’d have preferred it to never work, rather than almost-never, because it gives you hope – and that hope is very misplaced. 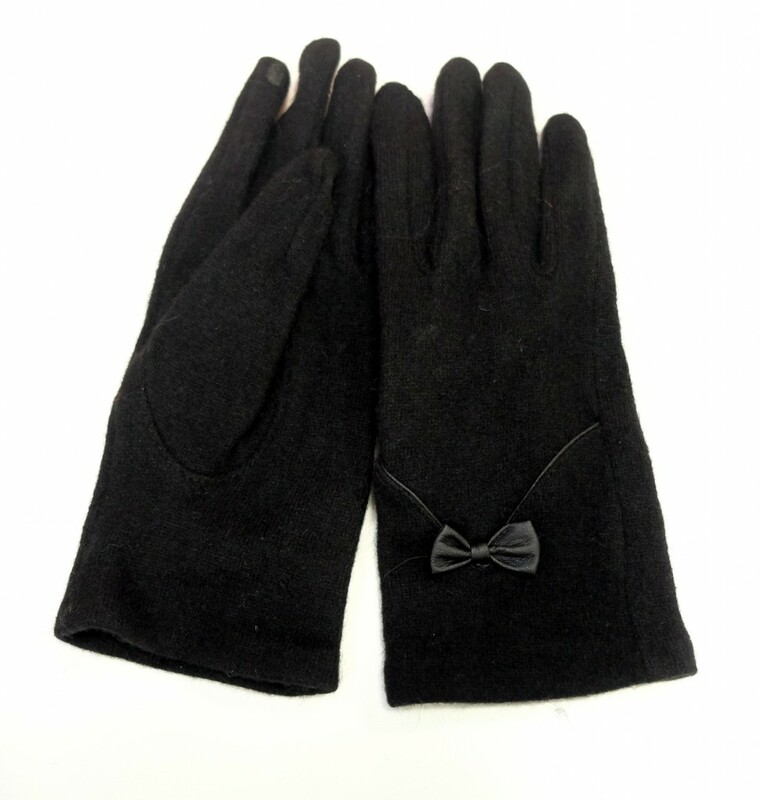 Available in black, grey and pink, these gloves have a visible touchscreen section on the end of the index and middle finger, and the thumb. They’ve also got an extra-grippy panel on the palm, which came in handy for holding icy railings and slippery smartphones. They’re not especially stylish, but they’re OK to look at, and fitted well. These kept my fingers warm better than some of the other gloves I tried, but there was a top limit of about 15 minutes before my crappy digits started going white and getting painful. These were very hit and miss. Sometimes I found myself pressing the screen so hard that it flexed a bit – which is never good – in an attempt to try and get my touch to register. And yet sometimes they worked perfectly. They did manage to unlock my phone much more often than either the M&S or Accessorize gloves, though – I’d buy them twice before either of those pairs. For £15, these are disappointing. They’re not bad enough that you’d burn them and swear to buy something else, but enough that you’ll get frustrated on a daily basis. I can’t recommend them unless they’re the only pair left. 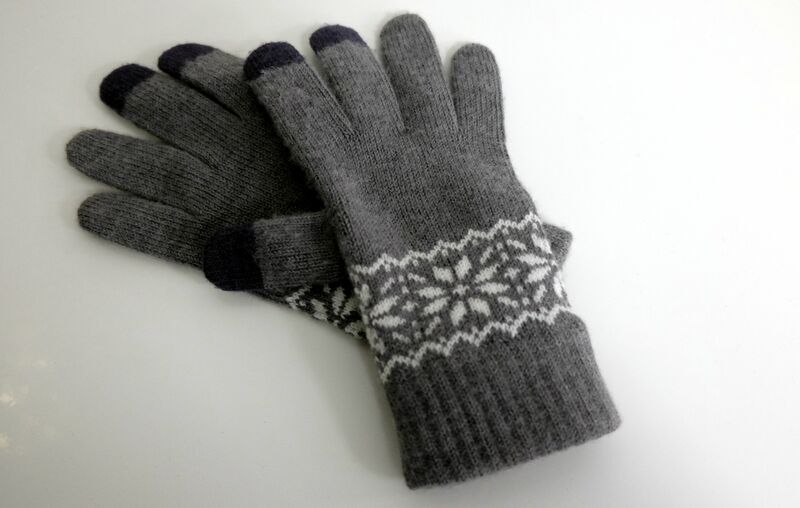 These are lovely and festive, with a fairisle pattern across the middle section. They’re also available in a cream and brown option, which is hideous and should never be purchased by anyone. It’s a bit odd that Proporta haven’t offered more generic colour options (black, grey or white), because not everyone’s winter coat will go with red or brown. I also wish they didn’t have differently-coloured tips on the touchscreen fingers – not sure why so many manufacturers do that, except maybe so you don’t forget your pinky finger isn’t touch-enabled. These are really thick. As with the Isotoner ones, my hands started getting cold about 15 minutes in, but never got to the painful stage. They feel quite padded, which is probably why. Again, these are hit and miss: sometimes they work brilliantly and sometimes barely at all. But they perform much more consistently than most of the others, unlocking my phone almost every time. They did seem to struggle with single touches rather than swipes though – when I typed by tapping letters, a lot of the touches didn’t register, so I used swipe typing and that worked much better. Often, though, it took half a second or so for the touch to register, so it’d miss the start of the word. A bit frustrating to type with, then, but for changing music and suchlike, these were pretty reliable. These gloves are cheaper than some of the others, and worked better, too. It wasn’t a flawless performance, but good enough to justify the price – and they’re really warm. These come in a whole range of colours and patterns, including a longer length. I chose the grey fairisle ones because I like a Christmassy pattern (and I’m guaranteed to have lost them by New Year anyway),but there’s something for most people. They’re one size fits all, but fitted me nicely with no overhang. They’re very soft and comfortable, too. Not bad. It was insanely cold the week I tested these, so perhaps a slightly unfair test compared to the others, but I still got painful hands after 15 minutes or so. They’re not very grippy either (nearly lost my phone twice), so you might have to take them off if you need to get hold of something. For moderately cold days, though, these work well. Finally! No problems here at all. They unlock my phone every time with no delay, tap-typing and swipe-typing both work flawlessly and I had no problems with touches not registering. This is the level of performance I expected from all the gloves, so it’s reassuring that it does exist. Hands-down my favourite pair. I’d ideally like them to be a bit warmer with more grip, but the touchscreen performance is fault-free and everything else is manageable. No wonder so many of you recommended them on Twitter. If you’ve got a pair of gloves you really love, you can always add conducive thread to the fingertips yourself to make them touchscreen-friendly. It’s a bit of a faff, but might be a good option if like me you need a hyper-warm glove (which don’t tend to come in touchscreen varieties). I lose mine far too often to make that viable, so I’ll be buying the Muji ones every week for the rest of time. Or until science invents a way to cure Icefinger-itis. Sob. Neat gloves! Could you also do a review of Nanotips (http://www.nanotips.com)? I saw them on Dragon’s Den and they say that their liquid can turn any glove into touchscreen gloves. Would love to see a review here before purchasing. Thanks!